Making Science Fun with S.P.A.R.K.S. In recognition of National Volunteer Week and our employees’ commitment to the communities in which they live and work, we’re proud to highlight the S.P.A.R.K.S. Foundation (Science Projects are Really Kids’ Stuff) as our April Featured Community Organization. The S.P.A.R.K.S. Foundation is funded in part by the more than $1 million UGI donates each year to STEM initiatives. This funding enables the S.P.A.R.K.S. Foundation to provide an exciting and hands-on science program to fill in the gaps of current education. With each lesson, S.P.A.R.K.S. educators strive to bring back the wonder of science to students, having them hypothesize as they experiment and learn. Additionally, the Foundation offers low cost, hands-on science and nature programs on a monthly basis, as well as encourages STEM (science, technology, engineering, mathematics) learning outside of the classroom. 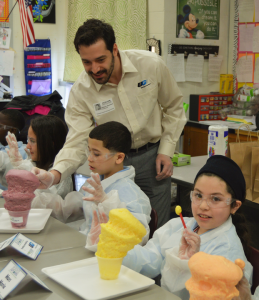 UGI volunteers are instrumental in fostering an interest in science to children in classrooms throughout our service territory. 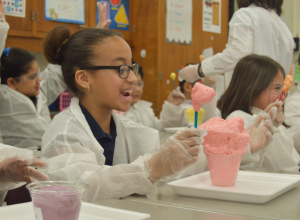 Employees assist students as they conduct experiments ranging from mixing two liquids to make a solid, to making glowing slime, to launching a rocket. In 2017, more than 700 UGI employees devoted more than 60,000 hours to organizations such as S.P.A.R.K.S. We will celebrate our employees’ efforts during National Volunteer Week, from April 15-24, 2018. Follow UGI Utilities on Facebook (@UGIUtilities) and Instagram (@ugiutilities) during Volunteer Week to see our employee volunteers in action.